August 10th. This month we note many anniversaries. 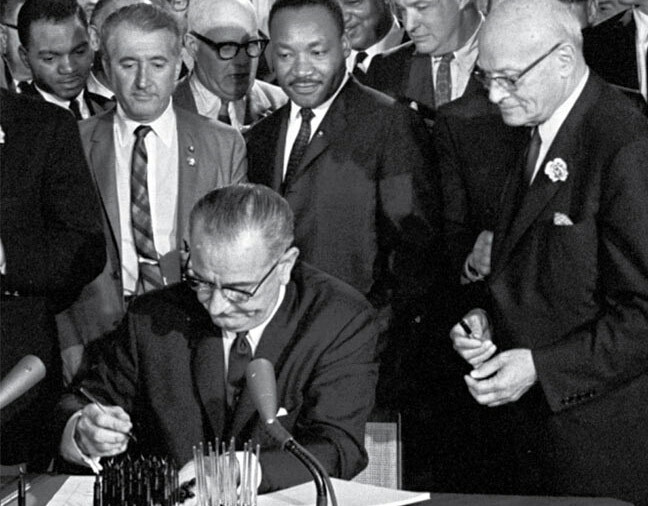 Forty-nine years ago Wednesday, Congress passed the Voting Rights Act. Forty years ago yesterday, Richard Nixon resigned. August 28th is the 51st anniversary of the March on Washington. The story was this simple: North Vietnamese torpedo boats – off their own coast – had attacked American ships without provocation. 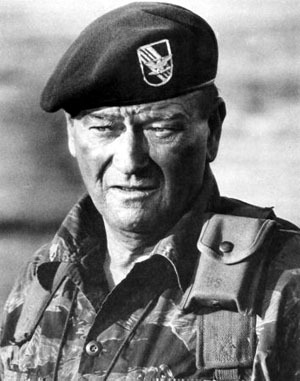 An admittedly minor (if unproven) altercation with no injuries was all America needed to come and defend freedom. America was coming to help! Understanding this phrase – indeed, understanding any aspect of American history – requires knowledge of our mythology. This is the America of Daniel Boone, John Wayne, Rambo, Clint Eastwood, Buffalo Bill, Batman and all the other heroes who charge in at the last moment to save the innocent community from the clutches of the evil, inscrutable (and usually dark-skinned) Other. Our heroes never throw the first punch. One of our greatest paradoxes is that, early on, a nation of radical individualists with no innate purposes became an individualist among nations with a divinely inspired mission to make the entire world a better place. In this fallen world, only America had the know-how and the altruistic ideals to make a difference. It was also, however, an open world, offering irresistible opportunities to those capitalists and colonialists who could find reasons to justify military intervention. But their problem was then and always has been how, in a democratic nation, to mobilize public opinion. By the late 19th century, America’s mission (known as manifest destiny, the white man’s burden, bringing the good news, making the world safe for democracy, nation-building, etc.) had taken on four assumptions. First: unique, divinely sanctioned purpose. Second: generous, idealistic intentions, never financial gain. Third, unenlightened, oppressed people who longed for our help. Fourth, a pretext for intervention: unprovoked attack. But Americans, though naïve, are no more inherently violent than other peoples. The state must regularly administer massive dosages of indoctrination to reanimate our sense of innocence and purpose. Propaganda merges with belief; every student learns that America never starts wars but always aids those in need. The mythic appeal is so fundamental that occasional disclosures of the truth do little to alter popular consciousness. Our media gatekeepers make sure of that. Still, the narrative of innocence requires regular ceremonial maintenance. In August of 1964, Congress (with only two “nay” votes) gave Johnson complete authority to go to war – a war that would last another eleven years, killing some 60,000 Americans (and generating over a hundred thousand veteran suicides) and up to three million Asians, the vast majority of them civilians. On the ground, however, obsession with the body count, rather than control of territory, became an end in itself. General Westmoreland set the tone by smugly dismissing civilian casualties: “It does deprive the enemy of the population, doesn’t it?” With this kind of permission coming from the top, massacres became commonplace, as they had been in Korea and would continue to be, wherever the U.S. would oppose dark-skinned people. Since the end of World War Two, the U.S. has bombed at nearly fifty countries. This transfer of killing from a means to an end in itself constitutes a practical definition of genocide…Do Americans hate life? Has there ever been a people who have destroyed so many living things?